Hey guys, this playsuit was bought from In love with Fashion over 2 months ago. 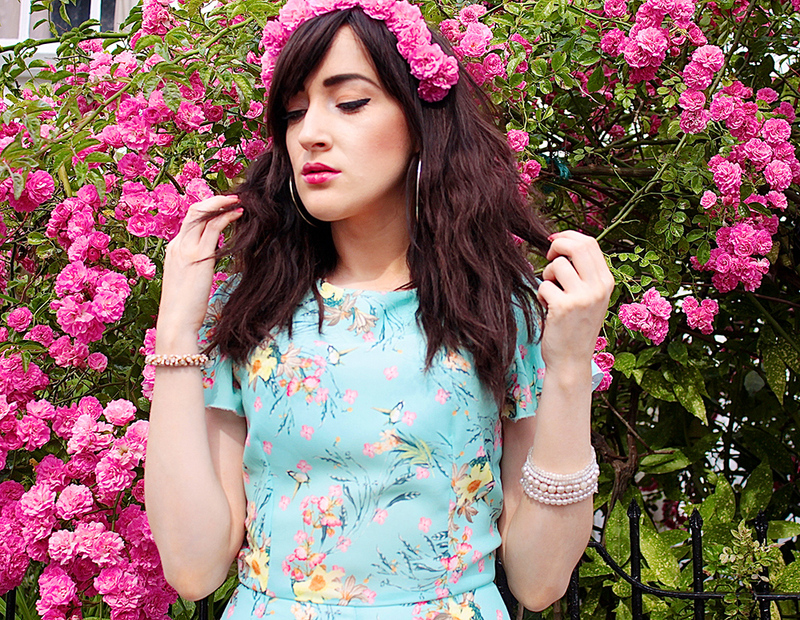 But I didn’t blog post it because it seemed like all the bloggers had the same idea and everyone started wearing it. 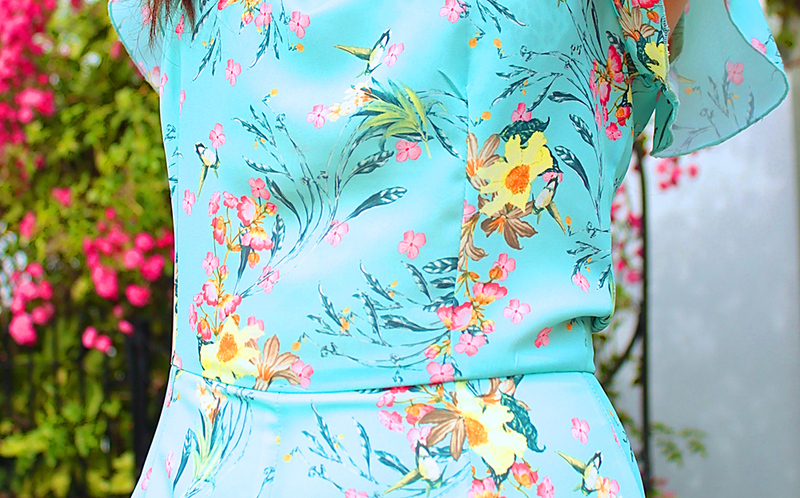 I loved the beautiful print with the blossom and humming birds. Although this oriental print captured my eye, I wasn’t too happy with the fit. The chest space was quite baggy on me, I’m only small chested which suits my petite frame, and the back was sagging a bit because I couldn’t fill the front. 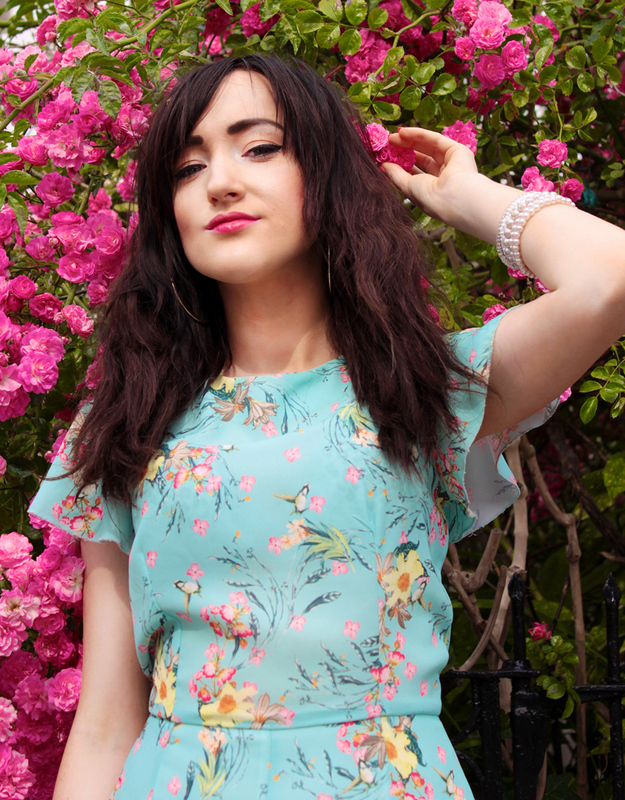 Also another downside to this playsuit is the frilly shorts, it should have been tested in the wind, because when I was walking through town yesterday it was blowing up and everyone could see my undergarments. Obviously living in Wales we have this windy weather problem, I hate the feeling of wearing something that you love the print of but don’t feel 100% comfortable in. 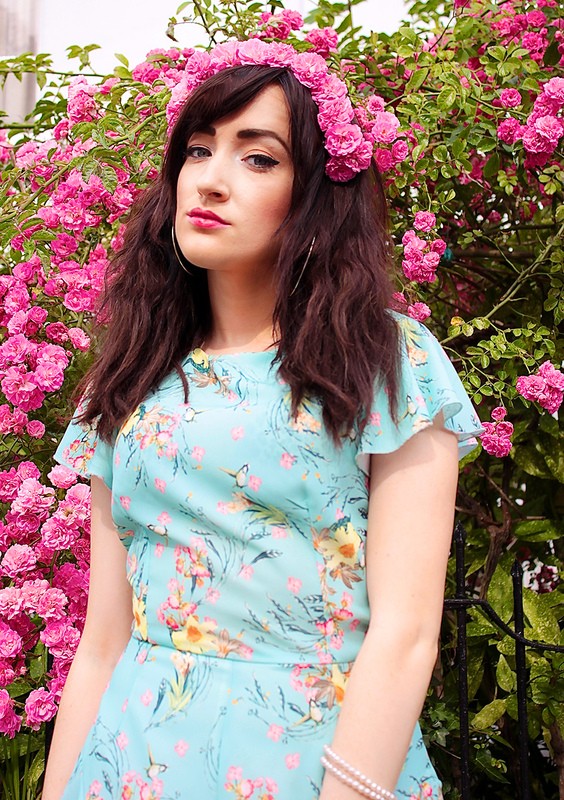 I matched the summery playsuit with my new white sandals from New Look that I’m obsessed with. I took these photos in town, in front of lots of people so excuse me if I look awkward. It was one of those days where the lighting wasn’t right and my hair just wasn’t how I wanted it to be. Anyways there has been a lot of good and bad things happening right now, besides taking pretty photos in the sunny weather and looking divine. Its hard to deal with inner emotional turmoil, I’m trying to keep busy to make my mind focus on something else but at the end of the day we are all human and we have feelings. Yeah those really annoying things that make you remember the good times and keep you awake at night because your dreaming vividly. But I know that everything is going to be ok, because when one side of my life is crumbling away and dispersing into mid air, there is new buds growing, for example new friends appearing out of nowhere, new job opportunities, new feelings of a fresh start. Which I feel so blessed for that I have been given these beautiful things, it makes you feel like someone is watching over you, that your never really alone. For a while I’ve felt like there hasn’t been closure on a really chaotic and lesson learning part of my life, but now I can finally move out of the house, to find a new one. I have had final contact from him and I feel I can move on. It was difficult after being ignored for 3 months, but thats how some people handle situations. Thankfully Its time to make my dreams come true.